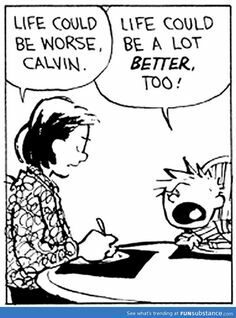 Well, that depends! Do you have the things that you want in life? Or do you find yourself wanting more? More time? More money? More energy? More freedom? More achievements? More peace? More joy? More productivity? Are you feeling stuck in a life that's draining you? Do you want to feel better about yourself and your relationships? Are there goals that you want to accomplish that have been on your to-do list for weeks, months, or years...that you never seem to get around to? Have your goals been gathering dust on the shelf while you just manage to get through the day? Do you feel like you're just going through the motions or wasting time or putting off what needs to get done? Are you where you want to be? If you're happy with your life and yourself, then no...you don't need a life coach. I know what's possible for you because I've spent thousands of hours coaching people just like you toward acheiving their dreams. I want you to experience your dreams, and to live the life you were meant to live. Does that mean its all wine and roses? No. But...having a coach can sometimes mean the difference between living a mediocre life and living a life that really inspires you and those around you. So let's get started! Fill out the form to your right..."Getting Started." Let's get started today! And if you're here for ADHD coaching, you're in the right place! Here's how it works...Sarah Shore meets with you each week via phone conference Wednesdays beginning at 8:00pm Eastern for a dynamic, action packed hour of hard-hitting group feedback, action-planning and forward charging promises to yourself for creating the life you want. We cover everything! All areas of your life including relationships, physical health, diet, exercise and nutrition, time management, organization, work-life balance, finances, family, home life, clutter, communication, career, and fun. Most importantly, we work on eliminating the bad habits that are holding you back from your goals and dreams. Each week, attendance is limited to 10 participants. Package includes one-on-one introductory phone call with Sarah, pre-coaching assessment and action planning, and ongoing email support. After you purchase your package securely online, you must also send an email to sarah@sarahshore.com stating that you would like to enroll in the course. At that time, you will receive a confirmation email with instructions from Sarah for completing the pre-coaching assessment. You will also schedule your one-on-one introductory phone session with Sarah. Both the assessment and one-on-one introductory phone call must be completed before attending a live tele-coaching call. Disclaimer: Coaching is a discussion and behavior-based process that may include all areas of your life. You are ultimately responsible for the behaviors/decisions/choices you make regardless of any coaching conversation pertaining to said decisions/behaviors/choices. Coaching does not involve the diagnosis or treatment of mental or physical disorders. It is assumed that you are a healthy and well-functioning individual who wants to make improvements in one or more areas of your life and are utilizing coaching services to assist you in this way. 1. 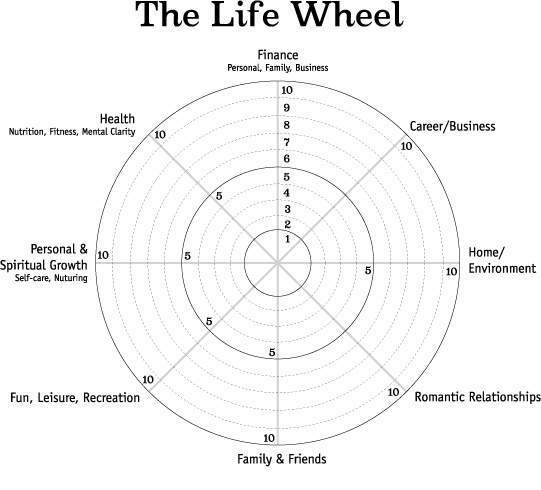 Download your copy of the Wheel of Life Assessment. 2. Complete both parts of the assessment and score yourself in each area. 3. What area calls for your attention? Decide which area you most want to improve?